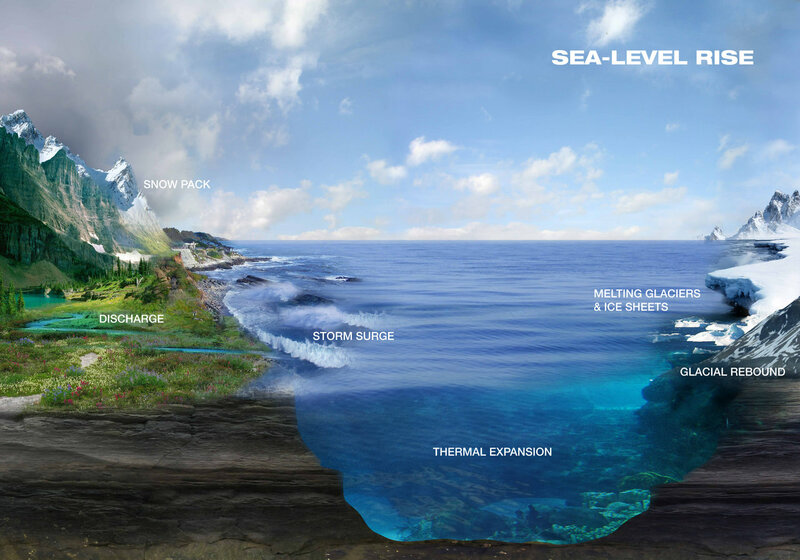 The various components contributing to sea level change. NASA satellites observe not only the total change over the ocean but also contributions from ice melt and other hydrologic components. NASA develops research and technology to observe global and regional sea level change, to measure the causes of sea level change, such as ice melt, and to understand various factors affecting global and regional sea level change, such as winds, precipitation or postglacial rebound. NASA pioneered measurements of sea surface height (sea level) with the radar altimeter aboard Slylab (tbd), the Seasat satellite in 1978, and made the most precise measurements with TOPEX/POSEIDON (1992-tbd), jason-1 (tbd-tbd), Jason-2 (tbd), and the upcoming Jason-3 (2015 launch) and SWOT (2020 launch). Radar altimetry requires very exact knowledge of the position of a satellite 1300km (tbd miles) above the surface: NASA's contribution to the global laser tracking network, and NASA's satellite borne GPS receivers let us know the positioning of these satellites to better than an inch. On a global average sea level rises due to melt of the big ice sheets, Greenland and Antarctica, as well as glaciers, due to warming water (water expands as it warms), and due to changes in the shape of ocean basins. 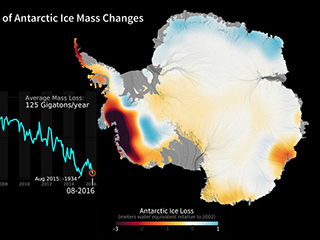 NASA's GRACE satellites measure changes over time in the distribution of ice mass. NASA's Icesat (tbd) and Icesat2 measure the changing height of ice. 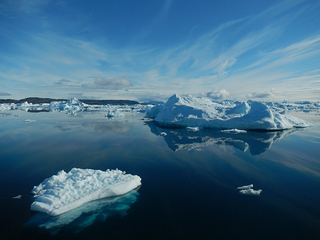 Both help us quantify the overall ice melt going into the oceans. NASA's Modis and Amsr-e (plus radiom on. Gpm) measure the temperature of the sea surface. (How about vlbi for tectonic deformation?). Precipitation that shifts from falling over the oceans to falling over land causes temporary drops in global sea level: NASA's GPM measures precipitation. Regional sea level primarily changes due to ocean surface winds and ocean currents: NASA's Rapidscat (tbd) measures wind speed and direction at the surface of the ocean, as did its predecessor Quickscat (tbd). The radar altimeters also permit derivation of surface currents. All of these technological marvels are the result of NASA-supported research in both technology and the sciences of sea level change, such as oceanography, glaciology, atmospheric and solid earth sciences. 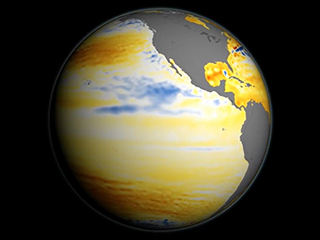 Find out more about sea level research at NASA. Learn about various observations, research, and the scientists of the NASA Sea Level Change Team.